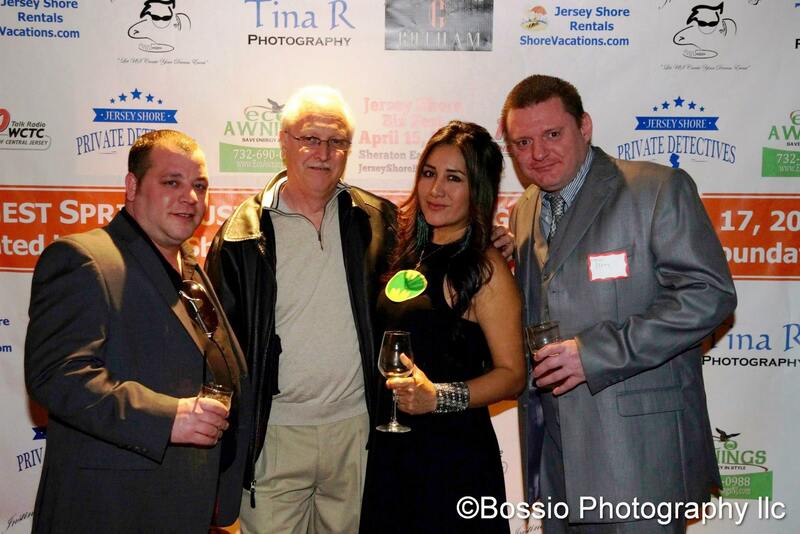 On March 17th, 2015, Gotham in Red Bank welcomed over 200 people for Jersey Shore Premiere's Largest Spring Business Networking Event. This 2nd event of the year organized by Rosa Davis and Chris Fotache, attracted a mixed crowd of small business owners, local entrepreneurs and media personalities. On March 17th, 2015, Gotham in Red Bank welcomed over 200 people for Jersey Shore Premiere‘s Largest Spring Business Networking Event. This 2nd event of the year organized by Rosa Davis and Chris Fotache, attracted a mixed crowd of small business owners, local entrepreneurs and media personalities. The event’s goal was to bring together local business owners from Monmouth and surrounding counties, to encourage face-to-face networking and help entrepreneurs make new connections or nurture older ones. Attendees had lively conversations promoting their businesses or causes, took pictures on the red carpet, and visited several vendor tables. Bert Baron, the Voice of Central Jersey from WCTC 1450 AM was the MC of the event. Part of the proceeds as well as a food drive benefited the RAINE Foundation, an organization that assists children and their families who are in crisis, especially throughout the Bayshore area. You can check out some pictures from this event, by WCTC and Chris Bossio. For more information about business networking events in Monmouth County and elsewhere along the Jersey Shore, checks www.JerseyShorePremiere.com, the Facebook page or the group. And don’t forget about the Jersey Shore Biz Fest, the area’s largest business and consumer expo, taking place on April 15 at the Sheraton in Eatontown. Reblogged this on Sharyn Eles: Better Business, Better Lives.